lessons and present to your students in the classroom. 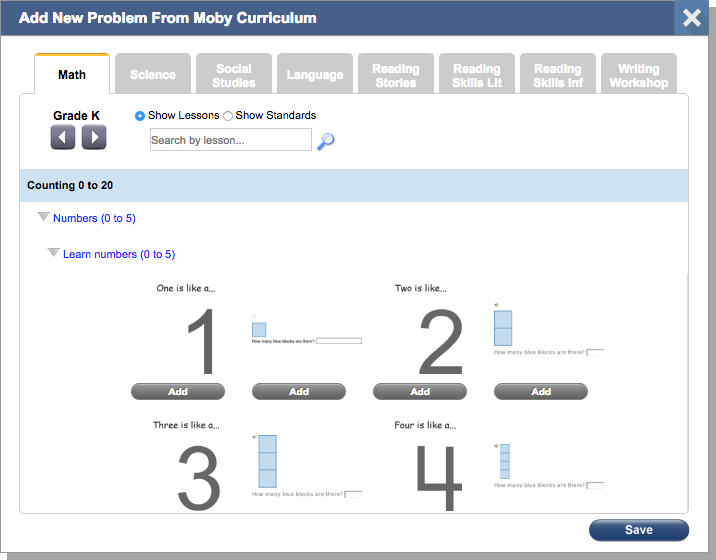 You can pull up any of Moby’s K-8 curriculum, create custom problems, or select existing problems created by our shared community. 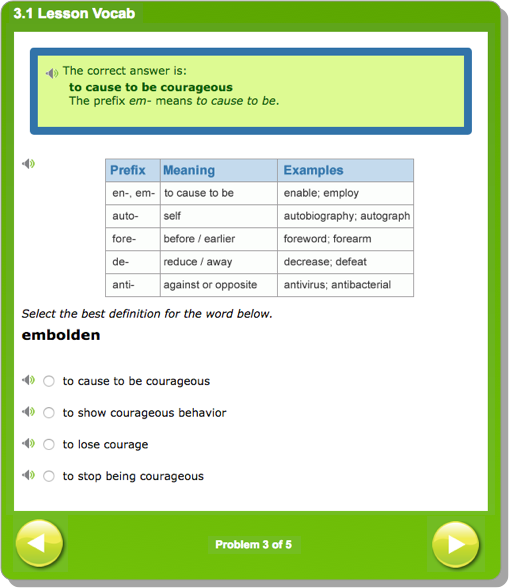 Drag and drop questions to easily and quickly compile the perfect lesson for your students. 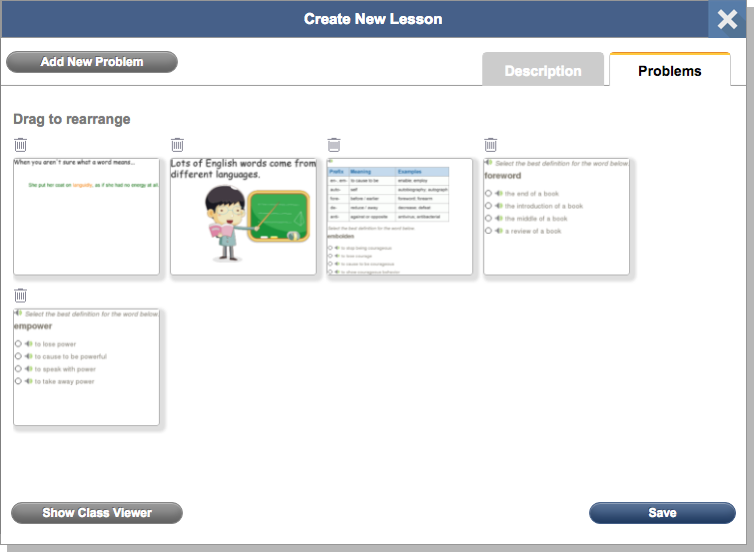 You can show animated lessons, problems, and even interactive manipulatives at the touch of a button.